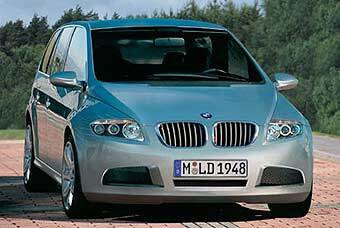 Does a Minivan make sense for the BMW brand? Has the ultimate driving machine become the ultimate mother ship for the stroller set? Some began to question the direction of BMW when they hatched SUVs. Evidently BMW is trying to be all things to all people. A brand that built its rep on high performance sports cars is evolving to become a lifestyle brand. BMW wants to offer a vehicle choice for the entire lifestyle arc. From young successful single 3 series driver to married 5 series driver right on to married with children minivan driver then SUV driver then empty nester luxury 7 series driver. The logic makes sense but are consumers ready to accept BMW as a full line vehicle manufacturer. I won't be surprised when Mercedes introduces their Minivan.